Pest Inspections North Branford CT. In most cases, you need a pest inspection for a mortgage. Whether it be a VA Mortgage, FHA Mortgage, Conventional Mortgage, or Mortgage Refinance you are typically required by the lender to have a termite inspection done on the property. 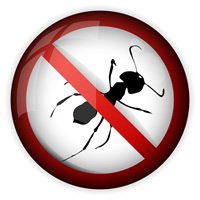 Your opportunity a pest inspection performed on your North Branford CT property should not be treated lightly. Your lender is concerned – and rightly so – that it might be lending its money to buy a house that is infested with insects that can have a negative impact on the properties structural integrity. If that were the case, YOU should be just as concerned. Keep in mind most houses in North Branford CT are made substantially of wood. In which case wood destorying pests are the always a possiblity, and you should be sure to protect yourself against the risk they pose.